Former HRT driver Bruno Senna is going to race for Williams F1 in 2012. I kept "Bruno" off the headline for this F1 update because it's a little jarring if you have the proper context and know the history. Senna's uncle, the great Ayrton Senna, died 18 years ago in his third race for Williams. The deal will put Bruno Senna in the seat held by Rubens Barrichello last year. The team likely hopes the younger Senna continues his progress and, maybe, carries some of his uncle's amazing instincts. 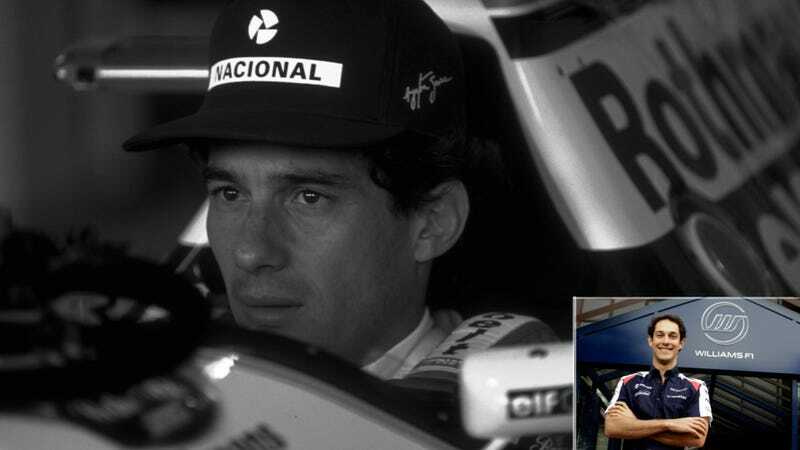 In another historical twist, Barrichello was the most successful Brazilian driver in the post-Senna era and, as F1 Fanatic points out, wore a helmet modeled after his hero: Ayrton Senna.